Part of the Rummy family of card games, Canasta was invented by Segundo Santos and Alberto Serrato in Montevideo, Uruguay in 1939. Even though it is a more complex Rummy variant, the game quickly became a sensation, spreading in popularity like a wildfire in other South American countries like Argentina, Brazil, Chile and Peru, with each country developing their own variation of the game. 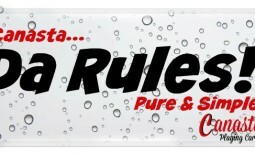 Canasta is actually the Spanish meaning of the word “Basket”. There are variations of Canasta, which includes Burraco, Samba and Bolivia. 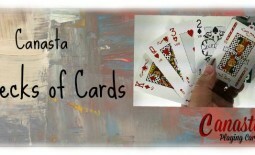 In European countries, Canasta goes by the names of Canaster or Kanasta. Canasta was introduced in the United States in 1948, then referred to as Argentine Rummy by Ottilie H. Reilly in 1949. In 1953, Michael Scully of Coronet Magazine also referred to Canasta as Argentine Rummy. Canasta play a central part in the 1950’s card-craze boom as card sets, card trays and books on this game flew off store shelves, producing immense amounts of sales. 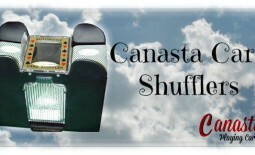 To purchase actual decks of canasta cards be sure to check out Newt’s Games and Cards.